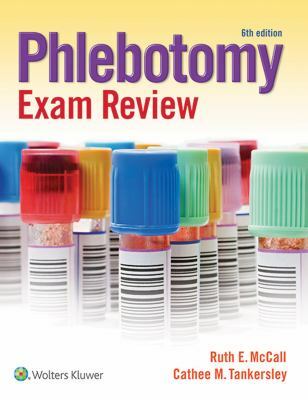 Easily transition from classroom to clinic with "Phlebotomy Essentials," sixth edition, by Ruth McCall and Cathee Tankersley. Fully revised with the most recent CLSI guidelines, including new venipuncture standards, this exciting new edition will help you prepare for phlebotomy practice today. Throughout the book, updates reflect the newest changes in the way today s students learn along with the way today s phlebotomists work. An updated art program showcases new technology. New content on diversity awareness highlights the needs of today s clinical settings. New case studies train you to think critically and apply their learning. With the option of a workbook, exam review book, and prepU adaptive quizzing software, this book represents the cornerstone of successful preparation for a career in phlebotomy." Used Good (1 available) BOOK CULTURE INC.